It has been quite awhile since we last saw a leaked render of the LG G3 flagship, but thanks to @evleaks, they’re back once again. 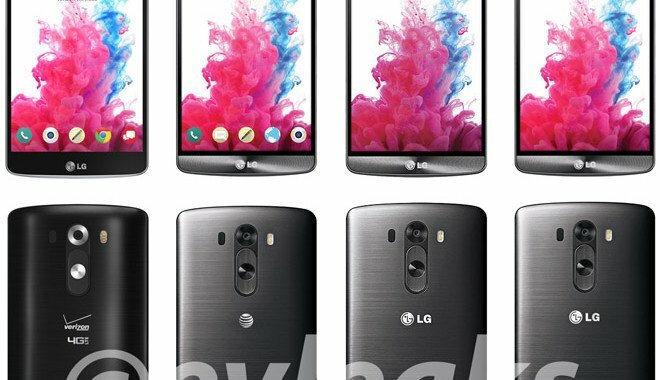 Today, they compiled all the leaked press renders of the LG G3 – each belonging to one of the big 4 carriers in US – to show us the differences between them. I shall let the image do the talking for this post… so do share with us what you think about them! You may also be interested to find out more about the Verizon’s LG G3 which will be coming with 3GB RAM according to leaked documents!